The survival of a nonimmune infant faced with a new pathogen depends in part on an array of specific and nonspecific human milk factors. Human milk protects via multiple redundant strategies. It targets shared virulence mechanisms to provide cross protection. By interfering with fundamental processes such as attachment to glycoconjugates, human milk anticipates new mutations and new pathogens that utilize carbohydrates as receptors. Furthermore, human milk IgA present appears to reflect long-term maternal immunologic memory. 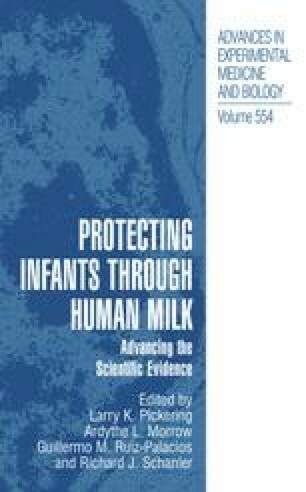 These overlapping protective strategies endow human milk with the unique ability to protect infants from organisms that mutate rapidly and are present in vast numbers.